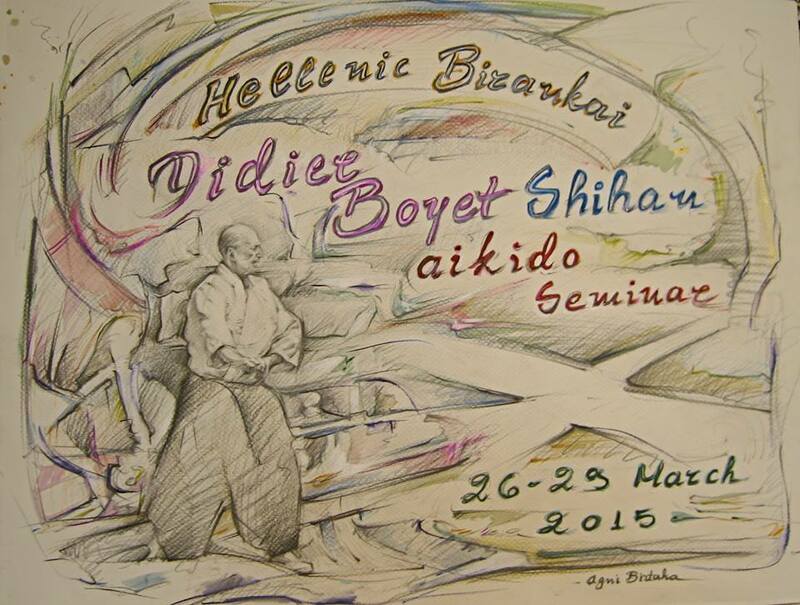 Great poster from Hellenic Birankai for seminar with Didier Boyet Sensei this past weekend. 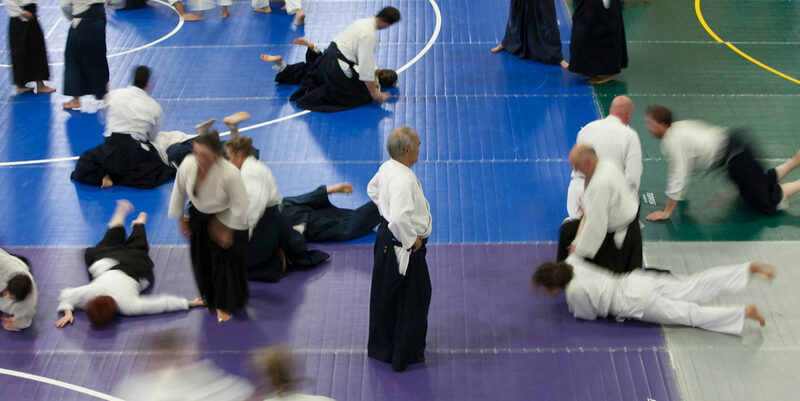 Editor’s Note: Thanks to John Brinsley of Aikido Daiwa for this writeup from Miyamoto Sensei’s visit earlier this month to North America. I’ve just posted some new video of Miyamoto Sensei from the event and 2013 Camp on the BiranOnline YouTube channel. Don’t forget that the deadline for early registration for 2015 Summer Camp is approaching! Miyamoto Sensei provided a rigorous and thoughtful weekend of instruction in Vancouver March 6-8 that left the practitioners tired and yet somehow energized. East Van Aikikai and Tony Hind Sensei, a long-time Hombu dojo student who lived at Hombu in the early 1990s, did a masterful job in hosting the event. The seminar brought together people from as far away as Hawaii and proved once again that having different organizations are no barrier to a committed group who wish to experience first-rate keiko. I would like to thank Hind Sensei again for putting on such a successful seminar. Regardless of the technique, Miyamoto Sensei returned again and again to the importance of timing, connection and proper spacing. Even for those of us familiar with his ability to create dynamic technique while adapting to the uke’s movement, there was always a need to pay close attention to how he managed to unbalance his partner while retaining complete control. For me, anyway, it also served as a reminder of how vital the concept of “stealing” the teacher’s technique is, rather than having it spoon-fed. For Birankai members and attendees, along with valued USAF friends Malory Graham Sensei and Seattle Aikikai students, it provided an excellent chance to spend time with Miyamoto Sensei ahead of Birankai Summer Camp. Which, if the weekend is any indication, should be epic. T. Miyamoto Shihan — guest instructor at this year’s Birankai Summer Camp — led a great seminar March 6-9 in Vancouver, Canada. Birankai Aikidoka from across the Northwest, Canada and California attended the event, hosted by East Van Aikikai. Check out these great videos: More at the BiranOnline channel on YouTube. And check back later this week for a full writeup of the event. Didier Boyet Sensei of Tokyo gave a great seminar this weekend at Brooklyn Aikikai focusing on kihon waza (basics) and the interplay between sword arts like Iaido and Aikido. Boyet Sensei will be a featured instructor at 2015 Birankai North America Summer Camp — register now at the Summer Camp Registration site. Check out more videos from Boyet Sensei’s seminar at the BiranOnline channel on Youtube. See you on the mat and bring your video camera!